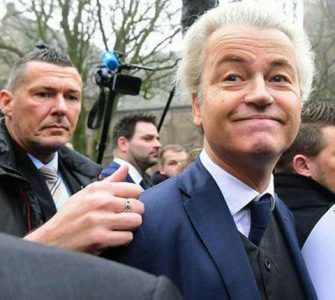 The diplomatic row comes ahead of the Netherlands going to the polls on Wednesday for a parliamentary election, where far-right politician Geert Wilders is set to make big gains. 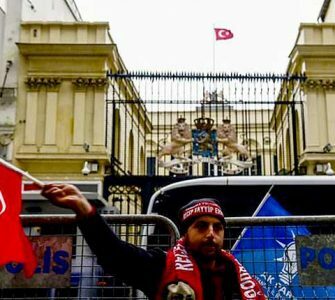 Dutch riot police have broken up a protest by more than 1,000 supporters of Turkish President Tayyip Erdogan, after diplomatic tensions between Turkey and the Netherlands. 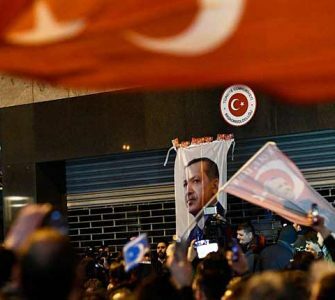 Demonstrators had gathered outside the Turkish consulate in Rotterdam to show support for Mr Erdogan after two Turkish ministers were prevented from addressing a rally in the Dutch city ahead of Turkey’s referendum next month. 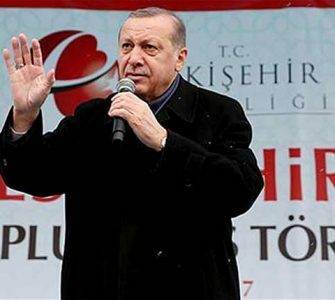 Mr Erdogan is looking to gain support from the large number of Turkish people living in Europe to help clinch victory in the 16 April referendum that could give him sweeping new powers. But the Dutch authorities view the referendum as a step backwards from democracy and have told Ankara to keep its ministers away. Police using water cannon, horses and dogs moved in to disperse the crowds after several hours of demonstrations on Saturday evening. Protesters hit back, throwing rocks at the police, while hundreds of cars jammed the streets blaring their horns and revving their engines. 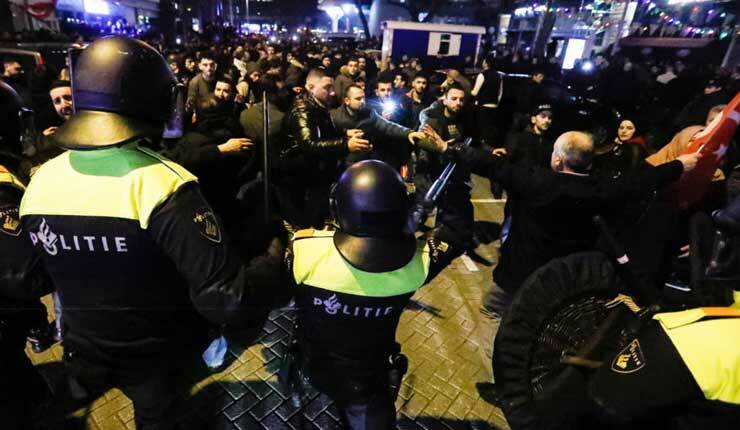 Tensions finally tipped over into violence after a day of fast-moving events, triggered when Turkey’s family affairs minister Sayan Kaya was blocked from attending the rally and expelled from the Netherlands. Ms Kaya could be seen in images on Dutch NOS television appearing to argue with officers about the situation. Earlier, Dutch authorities also refused permission for foreign minister Mevlut Cavusoglu to land in the city, saying he was not welcome to campaign for the referendum. In response, Mr Erdogan accused the Dutch, who were once under Nazi occupation, of being “the vestiges of Nazis”. Four planned Turkish rallies in Austria and one in Switzerland have also been cancelled in the dispute.